The forecast is still around 34 degrees for tomorrow’s First Sunday bird walk, which has been relocated to DeKorte Park in Lyndhurst. 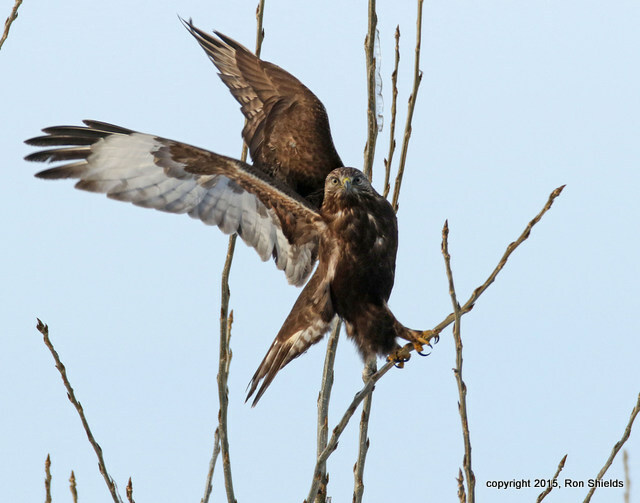 Snow may be moving in after noon, but the morning should be dry.There have been some great sightings in the area recently, like this Rough-legged Hawk photographed by Ron Shields. Please meet at the Environment Center lobby at 10:00 on Sunday, March 1st. Over time, twenty eagles were released. And according to author Jim Dwyer, Al and Alice, the Ridgefield Park eagles, are the “pride of the program”, having raised several generations of offspring thus far. 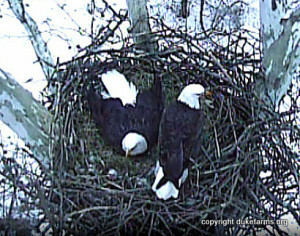 And as reported here earlier this week, the pair are currently sitting on at least one egg. Read Jim Wright’s recent report here. Read the original 2010 Meadowblog post that broke the story here. It’s almost that time…that magical time when warming days and still-freezing nights awaken the trees from their winter dormancy. That ‘s when the sap starts to flow. 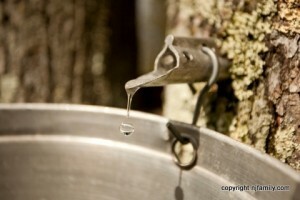 And people all over the northeast make maple syrup, including those right here in New Jersey. The making of maple syrup and maple sugar, know collectively as sugaring, is a process which dates back hundreds of years. Early myths about maple are widespread among the Eastern Woodland Indians, including the Abenaki, Iroquois, and Micmac, though sugaring’s true origins are not clear. 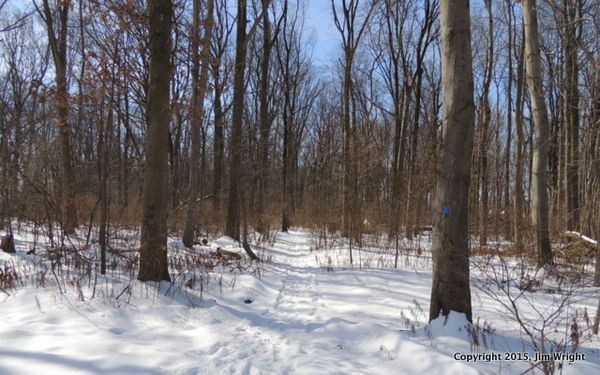 There are several maple sugaring events taking place in NJ soon, beginning this weekend. Click here for a list of family-friendly events around the state. Click here for an article from the University of Vermont about the history of sugaring in America. 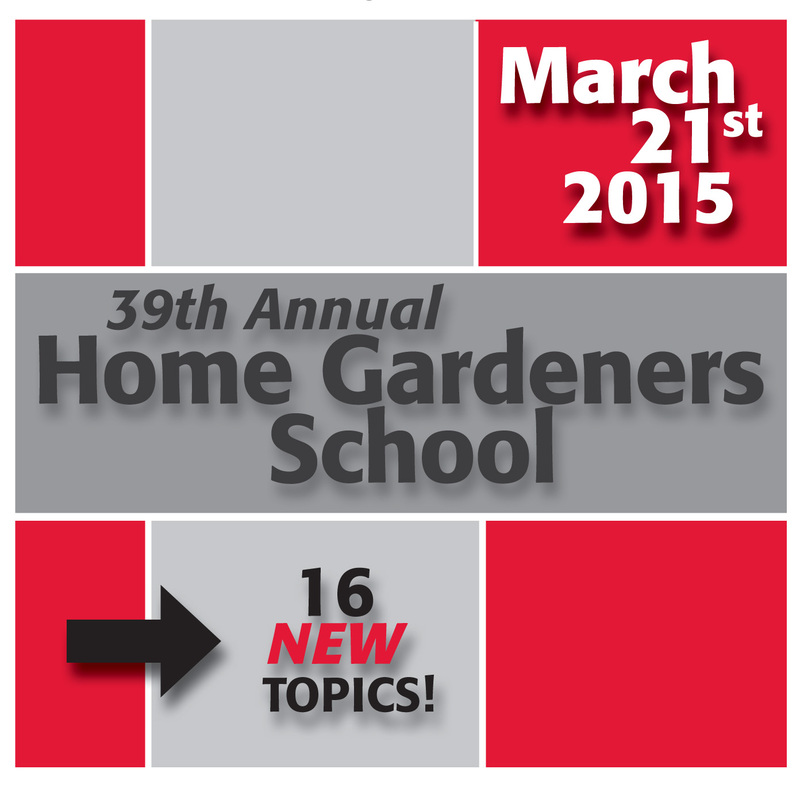 You will not find more information on more subjects anywhere in the state. Jim is still out and about and we are so grateful for that! Here are a couple of shares about his birding adventures this week. 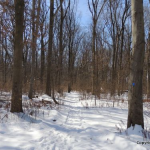 The Native Plant Society of New Jersey is a statewide non-profit organization dedicated to the appreciation, protection, and study of the native flora of New Jersey. 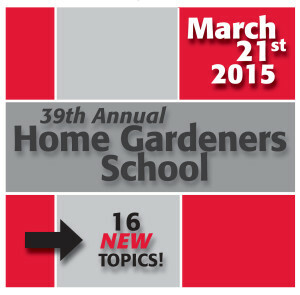 Founded in 1985, hundreds of members across the state…include gardeners, horticulturists, naturalists, landscape designers, students, and native plant enthusiasts from all walks of life. 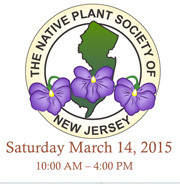 Their ANNUAL MEETING is a must-attend event for anyone involved in the native plant movement in New Jersey. Click here for more. 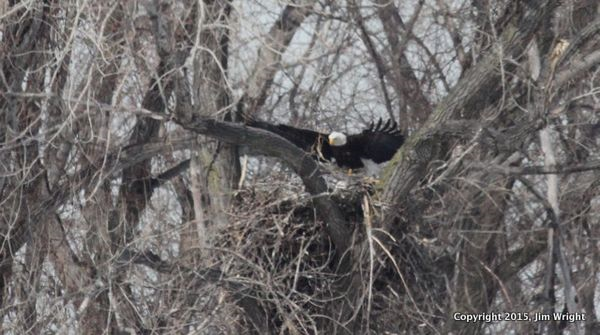 We have been privileged to witness the steady rise of a healthy population of American Bald Eagles in the Meadowlands over the past several years. 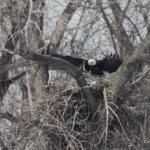 Lucky participants of last week’s Third Tuesday walk at Losen Slote Creek Park were treated to the sight of ten Bald Eagles in a single view! Read Don Torino’s homage to the eagles in his latest Wild New Jersey column. 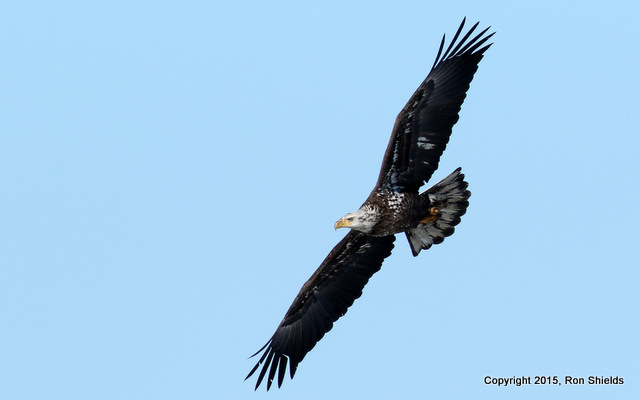 And don’t forget to check out the NJMC e-book, Bald Eagles in the Meadowlands and Beyond by Jim Wright. You can view or download it for free here. You can order your own printed copy here. I have previously confessed that my birding skills – if that’s not too strong a word – fall far short of the standard set by Jim Wright and the sophisticated visitors to this blog and the great birding sites of the NJ Meadowlands. But I’m working on it, and I’m guessing there may be a few beginners out there who are working on it too. 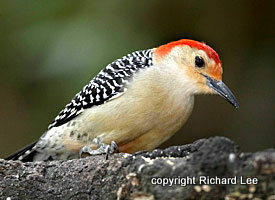 I urge all such compatriots to visit the Cornell Lab of Ornithology’s website, All About Birds. It is chock full of beautifully-presented information on everything from the birding basics to the latest scientific research. The Cornell Lab is a unit of Cornell University. Founded in 1915, the lab is a nonprofit organization supported by 78,000 friends and members. It is considered a world leader in the study, appreciation, and conservation of birds. 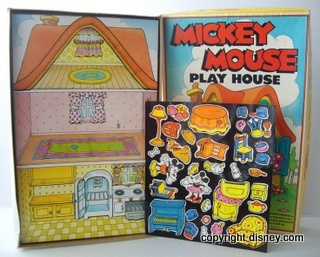 Colorforms! Beloved pastime of my youth. Who knew they were originally created by artists in River Edge? Now they may be coming back. Wouldn’t it be great to see a Meadowlands set – marsh background with sticky vinyl birds, turtles, airplanes and butterflies! I’ve always said the best things come from NJ. “Habitat fragmentation occurs when human-made barriers such as roads, railroads, canals, electric power lines, and pipelines penetrate and divide wildlife habitat. This affects biodiversity by reducing the amount of available habitat in an ecological niche. It invariably involves some habitat destruction. Plants are usually destroyed directly; then animals retreat into remnant patches of habitat. This can lead to crowding, increased competition, and speciation – a process in which isolated populations evolve in response to their new habitat, separately from their ancestors. Wildlife crossings are structures that allow animals to cross human-made barriers safely. 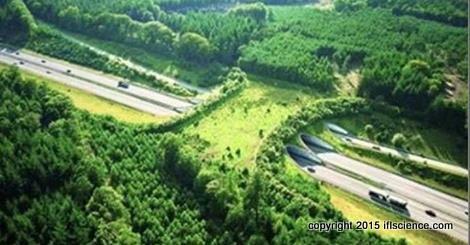 They may include: underpasses, viaducts, and overpasses; amphibian tunnels; fish ladders; tunnels and culverts; as well as green roofs.